Since 2003, The Petzing family has welcomed visitors from near and far for Lunch, Dinner, a Guinness or Jameson in the Pub. Shamrock Jack’s Irish Pub is an Irish family-owned Irish Pub and Restaurant blending the magical spirit of Ireland with contemporary food and drink. We are located just a few minutes north of the City of Rochester in Sea Breeze, New York, a bustling resort community on the shores of beautiful Lake Ontario. Spend the afternoon sipping pints on our expanded front porch or our back patio. Enjoy live music until the wee hours in our charming Irish pub, or have a delightful dinner with family and friends in one of our warm, welcoming dining rooms. Don’t forget to visit our resident Leprechaun just inside the front entrance! We have won 2 awards - one for best Irish Pub in Rochester and the other for best late night menu - we never forget that our customers make us what we are and for that we are forever gratefull. Come on in and try our famous delicious boneless wings and enjoy a pint with one of the Family. “Practice” for St. Patrick’s Day 11 months of the year on the 17th of every month with Irish Food, Music & Drink Specials. 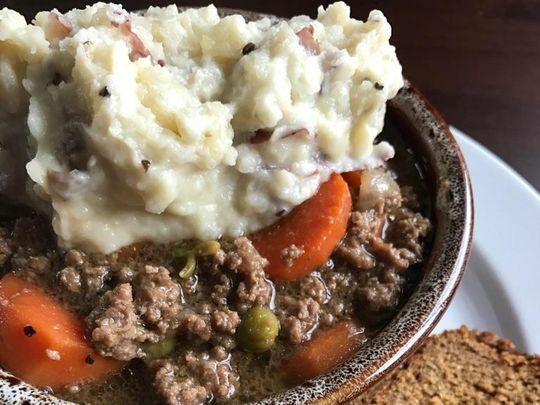 Choose from Corned Beef & Cabbage, a Reuben, Shepherd’s Pie, Guinness Beef Stew, Irish Nachos and more... Enjoyed along side a Guinness, Smithwick’s or Harp on Draft. 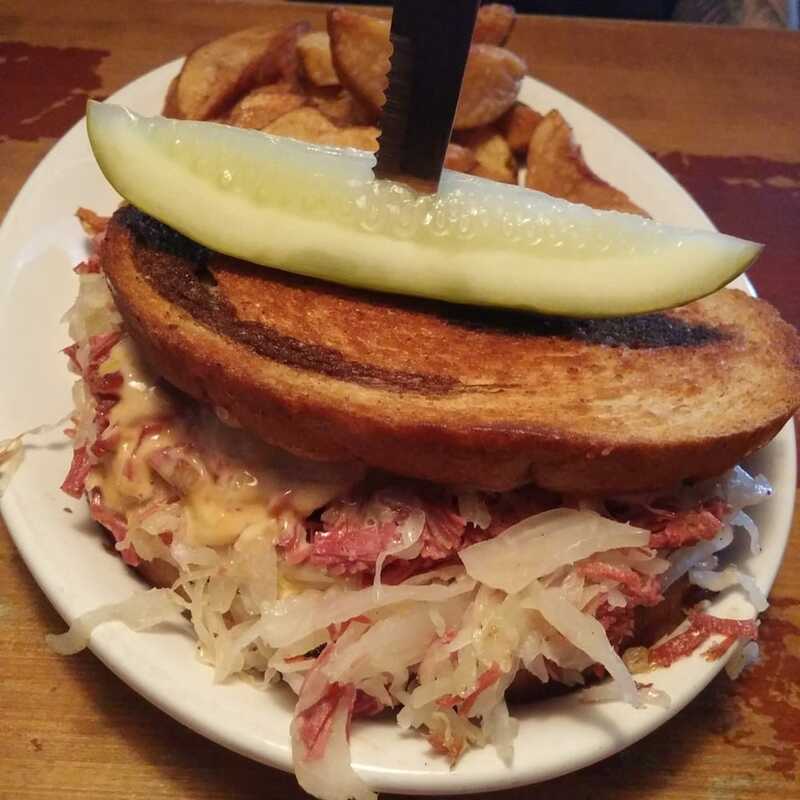 Tender Corned Beef, Sauerkraut, Swiss Cheese, Creamy Thousand Island Dressing, on Toasted Rye. Braised Beef Shortrib, Celery Root, Peas, Carrots, Rich Guinness Sauce, Topped with Whipped Potatoes and Baked. Served with Choice of Soup or Salad. 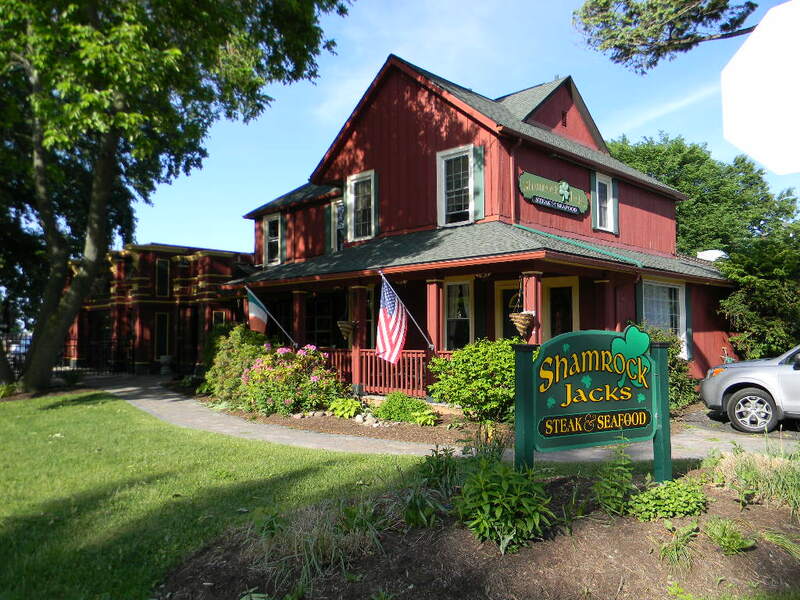 "Shamrock Jacks has a wonderful atmosphere and fantastic food! The staff is friendly and courteous and the owners go out of their way to make your dining experience amazing! They definitely treat you like family here. The buffalo wings were some of the best we have had!" "You will feel at home here. Food & Stout, what else is there? Be here on St. Patrick's Day a must. Tent, music and friends gather here." 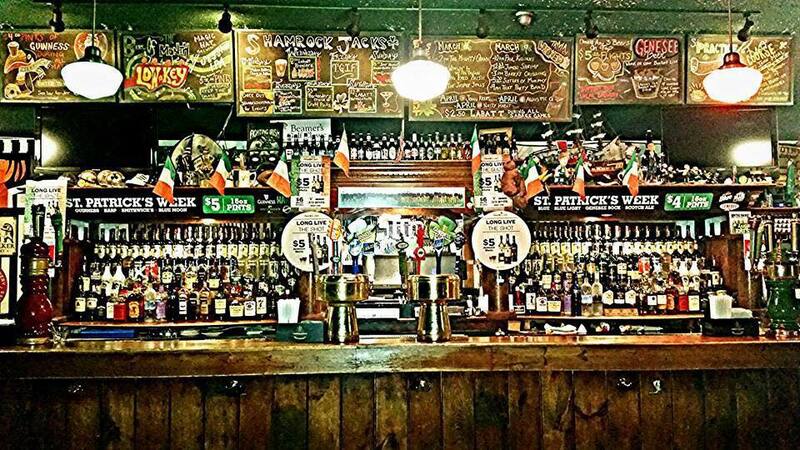 "Now newly renovated, Shamrock Jack's is a friendly spot frequented by those who enjoy a casually delightful bar and wonderful selections, from bar food to fine dining, all nicely prepared. Prices are very reasonable. We've eaten there over a dozen times and look forward to returning again soon!" "It was a very busy Friday night, but we were seated right away, in the "library". Our server Tiara was at our table almost immediately, and was very attentive in spite of handling many other diners. My husband had the Philly cheesesteak and he said it was very, very good. A fun pub, with lots of nooks and crannies. We have enjoyed many other lunches and dinners there, and will continue to go back for the food & atmosphere." Don't be shy. Let us know if you have any questions, comments or suggestions!